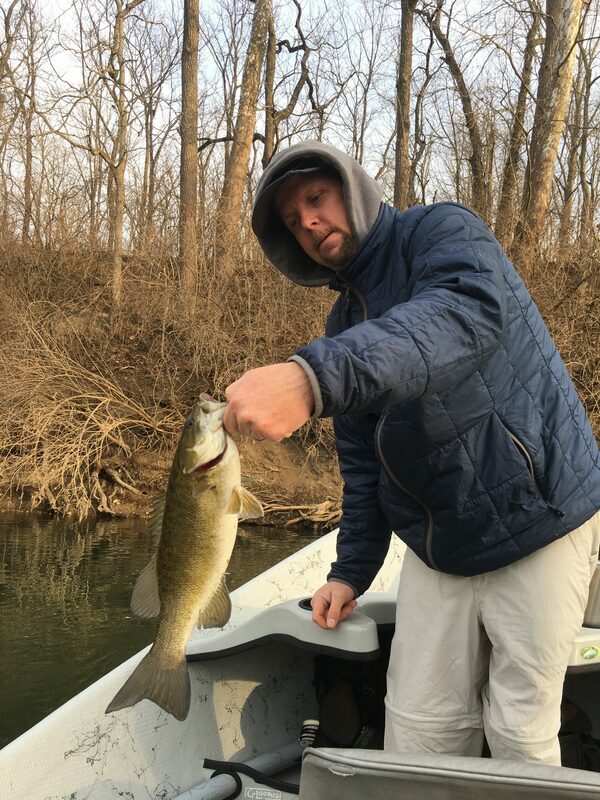 Wade with a nice February pre-spawn Smallie. 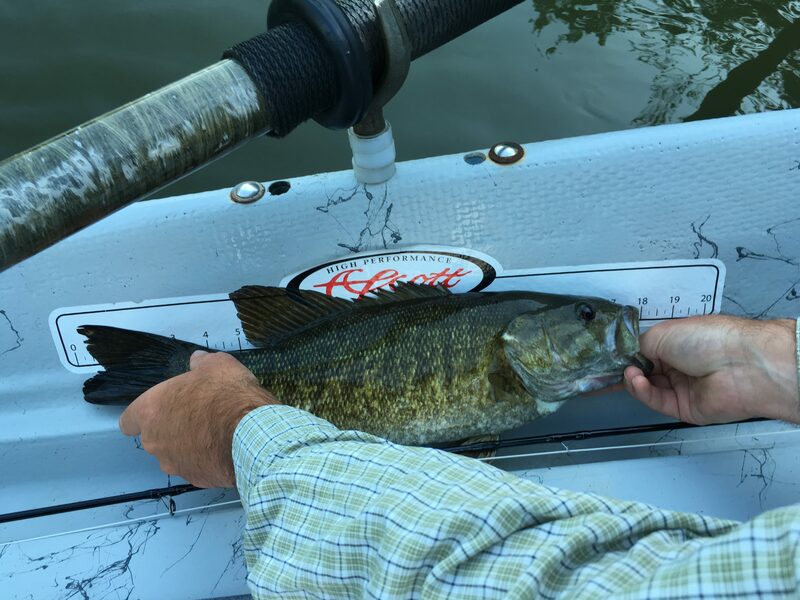 Rocky Row Smallmouth on a popper! Quick measurement and back into the water for the next fisher! 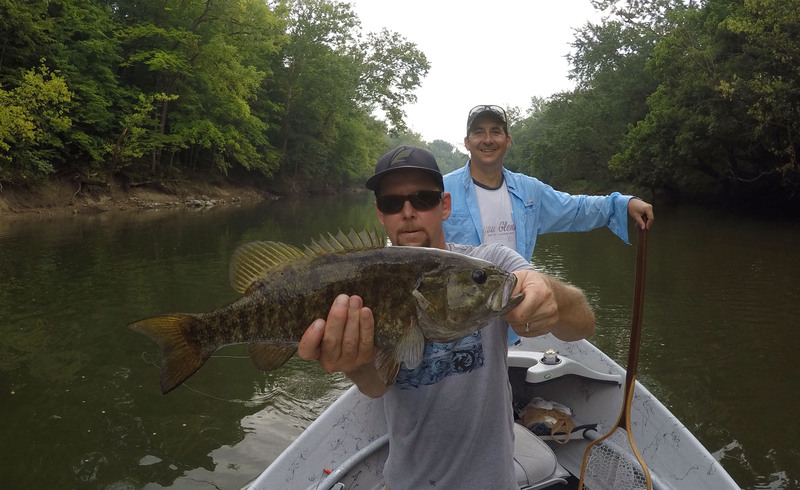 The Conner Prairie float is the perfect Half Day float for Anglers in Indianapolis. You can put on in the morning and be off the water 3 PM or put on in the afternoon and catch the highly productive dusk fishing. Surprisingly scenic this float meanders past Conner Prairie, Prairie View Golf Club, Plum Creek Golf Club, and River Bend Country Club. During the summer you will often hear Golfers teeing off.